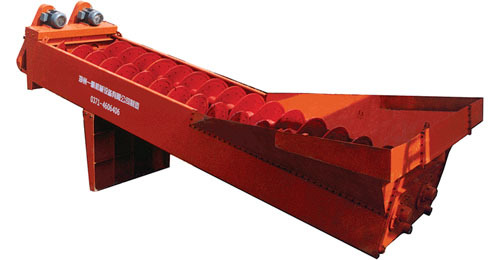 XL Series Sand Washer can wash and separate the soil and sundries in the sand. Its novel structure, adjustable overflow dam baffle and reliable arrangement can ensure the washing result. It is suitable for highway, hydroelectric projectand construction. This spiral sand washer is rational construction, convenient to repair, large handling capacity, lower power consumption, and High washing performance. Its novel structure, whole sealing oil bath type arrangement, adjustable overflow dam baffle can ensure such features, eg: high efficiency, durable, clean dewatering, fine-grained keep stable.